To understand the role of prosody and co-speech gestures in human communication from a crosslinguistic, developmental, and cognitive perspective. Three important strands of this research include: (a) to incorporate this knowledge into semantic models of language that model the interface areas with other components; (b) to empirically investigate how humans process prosodic and gestural patterns in combination with speech; and (c) to investigate the cognitive and developmental benefits of prosody and gesture in different areas, such as first and second language acquisition, as well as communication training for language impaired and non-impaired populations. The social significance of this research topic is high, as ICT training procedures based on prosodic and gestural awareness can be proven valuable to improve language abilities in populations with neurodevelopmental disorders characterized by impaired language and social interaction. 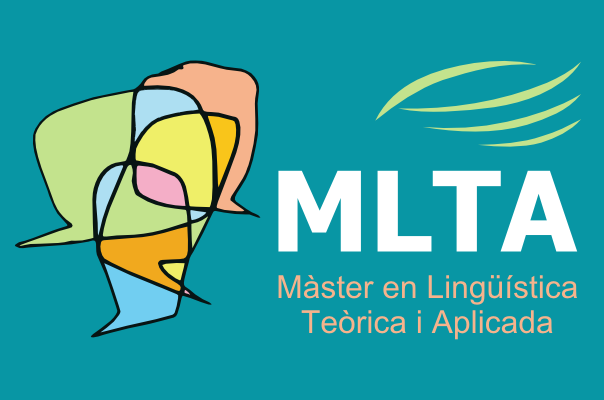 We use an interdisciplinary approach (linguistic and psychological) and a combination of methods and techniques such as linguistic and prosodic/gestural analysis, comparative (developmental, cross-linguistic) and experimental methods such as eye-tracking and neuronal analysis techniques in collaboration with other groups. Frota, S. & Prieto, P.
(2015). 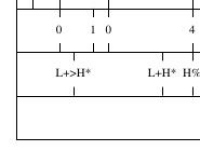 Intonation in Romance. Oxford: Oxford University Press. Prieto, P. & Esteve-Gibert, N. (Eds.) (2018). 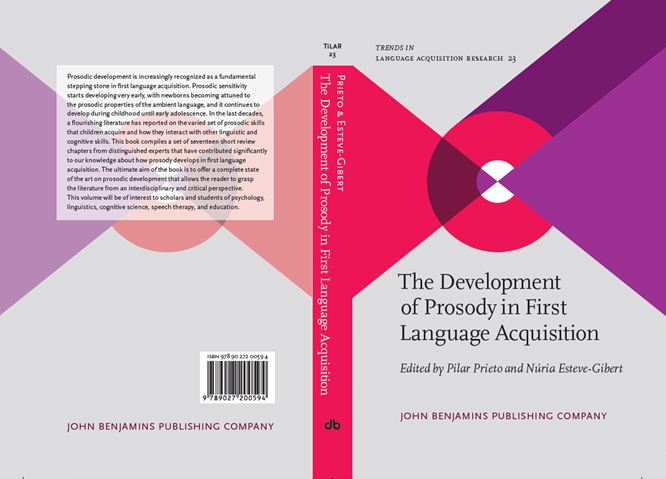 The Development of Prosody in First Language Acquisition. John Benjamins: Amsterdam. To advance in a prosodic transcription system for the Romance languages. To analyze the phonological function and meaning of intonational contrasts. To study the relationship between gesture, prosody, and linguistic structures. 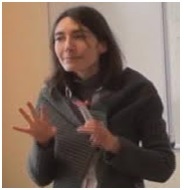 Prosodic and gestural development and its relationship to the acquisition of meaning. How are gestures and prosodic structure temporally coordinated? 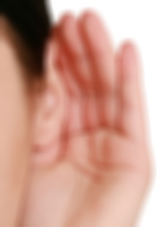 To determine how prosodic strategies can modify the attention and memory levels of the listener. To study the beneficial effects of prosody and gestures in general learning tasks, as well as first language and second language acquisition. The aim of this project was to assess the extent to which language precursors predict the infant’s later linguistic development. 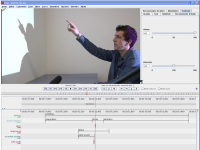 This project investigates the potential benefits of gesture-prosody integration in dealing with speech in a second language.